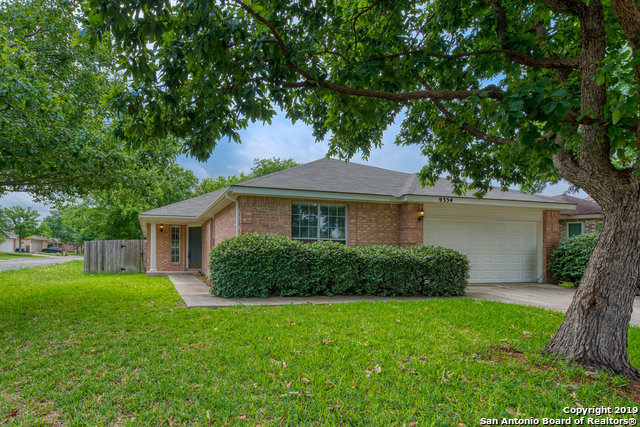 All STAGECOACH RUN homes currently listed for sale in San Antonio as of 04/24/2019 are shown below. You can change the search criteria at any time by pressing the 'Change Search' button below. "PRIDE OF OWNERSHIP! Stunningly renovated 3/2/2 single story on corner lot in gated community close to 1604 & Bandera Road. Fresh paint, beautiful Mediterranean style ceramic tile floors, stainless steel range, refrigerator, dishwasher, new roof, A/C, water heater & more. WOW! Sprinkler system for easy care of yard. Gated community has a fun playground/park. EZ Commute to USAA, Medical Center, Lackland AFB, Sea World, The Hartford. Shopping at La Cantera & The Rim! Excellent NISD/O'Connor HS. A M"
"Land, land, land, land!!! Cul-de-sac w/.30 of an acre lot!!! Let the kiddos run amok in GINORMOUS backyard while parents enjoy the wine sipping covered patio. Great entertaining space w/both formals plus family room & nice size breakfast nook. Multiple cook kitchen w/granite counters ready for your next shindig!! Split master w/garden tub & double vanity. Ceramic tile in all the right places, new carpet i bedrooms, fresh paint, stainless steel appliances. Gated subdivision. Desirable schools."